The ultimate in comfort. All winter long, you depend on your furnace to meet the heating needs of your home and your family. That’s why we build Trane gas furnaces,electric furnaces and oil furnaces to perform again and again, year after year. Beyond performance, we also provide you with options for energy-efficient operation. In fact, some of our furnaces operate at over 95% efficiency, which means that 95% of the fuel you pay for is actually converted into heat for your home. 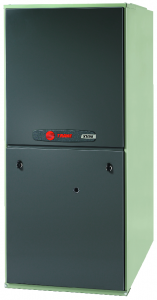 The most Efficient Gas Furnaces Trane offers. Available in Modulating, Variable Speed, Two-Speed and Single Speed models. Every Trane furnace is packed with high-quality components. Each helps ensure that time after time, your unit will provide total comfort your family can rely on. Time Tested and Proven Reliability. Built to last, Trane gas furnaces are the choice for the majority of modern homes with central heating and air conditioning. 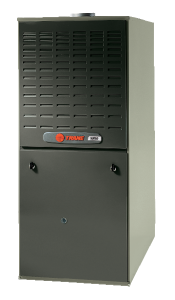 Whether you are looking for a variable-speed gas furnace, single- or two-stage heating, The Trane 80% line has you covered.